This book came out back in October, just in time for Halloween. It's by Aaron Mahnke, creator of the eerie and popular Lore podcast and creative inspiration behind Amazon's hit Lore TV series. 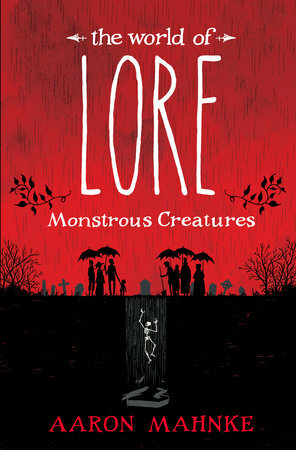 "In this beautifully illustrated volume, the host of the hit podcast Lore serves as a guide on a fascinating journey through the history of these terrifying creatures, exploring not only the legends but what they tell us about ourselves. Aaron Mahnke invites us to the desolate Pine Barrens of New Jersey, where the notorious winged, red-eyed Jersey Devil dwells. He delves into harrowing accounts of cannibalism—some officially documented, others the stuff of speculation . . . perhaps. He visits the dimly lit rooms where séances take place, the European villages where gremlins make mischief, even Key West, Florida, home of a haunted doll named Robert." 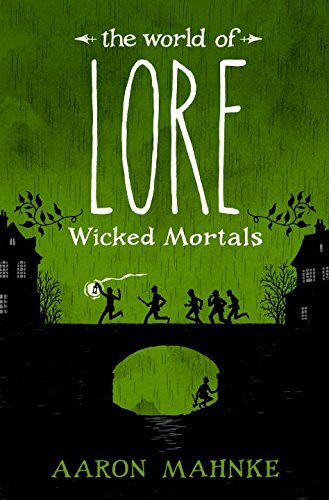 The second book in the series, The World of Lore: Wicked Mortals will come out in May 2018. If you enjoy listening to the podcast or watching the show, you might want to add these books to your home library or ereader! Follow Goth Shopaholic on Facebook for updates on other new goth, horror and dark books and gifts!